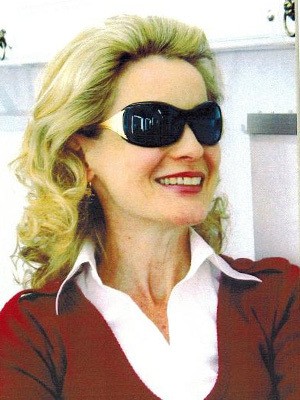 Kate Trotter has been an actress for over thirty years. She makes her home in Canada. She has performed extensively for the stage and for the camera working with Canadian and international directors and actors. Kate also works as a director. She has produced and directed corporate videos, also directing for the stage and for the small screen. Kate works as a corporate coach, integrating her skill and love of acting into the world of corporate leadership, presentation training and communication. Kate has coached high profile members of the legal world, as well as CEO’s, Presidents and Vice Presidents. She has shared her expertise with people working at all levels of the corporate world and the world of business. Using her experience as an actress Kate excels at helping people at all levels become more effective communicators and relaxed speakers while significantly improving their profile and making them into game changers. Kate continues to teach young actors both individually and in group settings as well as coaching young professionals striving to improve their interview skills. Kate is especially interested in working with individuals (regardless of profession, status, age or experience), who are overwhelmed by the stress and anxiety they face in the working world.